Peaktop - Outdoor Deluxe Pineapple 2-Tier Waterfall Fountain | Fountain City Art Ctr. Bring a hint of elegance and fun to your garden with the Icy Stone 2 Tier Fountain. Fountain has 2 levels of space for water to cascade down into the main portion. 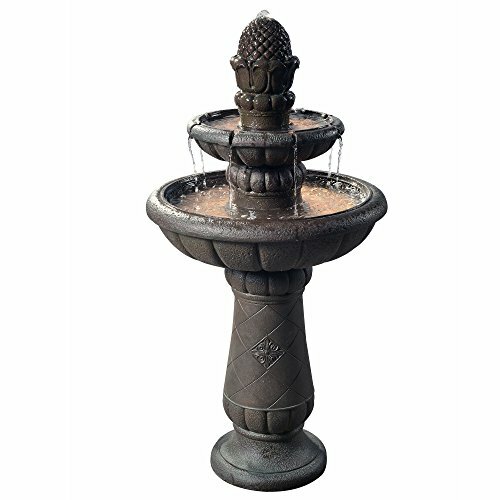 Fountain is sure to be a staple for any home and garden. Includes UL-listed recirculating water pump; plugs into any grounded outdoor wall outlet.